A strong start to students' academic careers in kindergarten could lay the foundation for long-term school success. 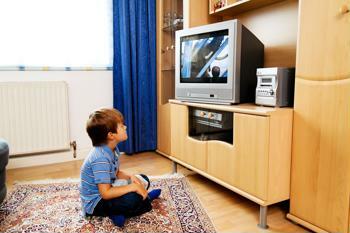 However, the amount of television children are exposed to in their early years could derail their chances of excelling in kindergarten, according to a recent University of Montreal study. Based on research involving 1,006 boys and 991 girls in Canada, watching more television than is recommended at 29 months of age is linked to weaker academic skills in kindergarten. For the purpose of this study, the researchers followed the American Academy of Pediatrics' recommendations that infants should not watch any television, while kids over 2 years old should avoid spending more than two hours in front of the screen. Exceeding these recommendations by as little as one hour was associated with less classroom engagement and diminished vocabulary and math skills among kindergartners. Of course, problems in school are not all overexposure to television can cause. The AAP states that too much television may also enhance the likelihood of attention problems, as well as sleep and eating disorders. Parents who are concerned about the impact their children's interest in watching television could have on their academic success may want them to take an IQ test for kids. Using the results of this assessment, parents can decide if it is time to turn off the tube.